The Spring 2019 semester calendar is posted here. The Start of Semester Items Notice for Spring 2019 is posted. All midshipmen, faculty & staff should review this notice. The Academic Advising, Preregistration and Registration Notice is posted. The Plebe Majors Fair Notice is posted. All 4/C midshipmen are required to attend the Fair on Monday, 7 January: 2nd regiment from 1000-1200 and 1st regiment from 1300-1500. 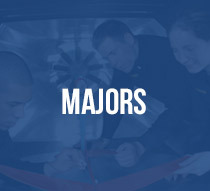 Get ready to choose your majors, class of 2022! The X-Period Exam Schedule is posted. Note that exams and other assessments may take place also throughout the regular school day during and outside academic reserve weeks, although faculty are encouraged to schedule their important assessments during AcReserve periods.. The faculty calendar for intersessional information is also available on our website under Calendars & Events > Faculty Calendar . The calendars reflect the recent shift of the faculty calendar. Please see our site for academic positions . Navy and Marine Corps officers. 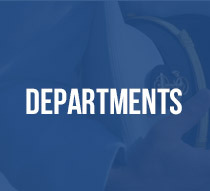 An academic major that permits a midshipman to explore a discipline in some depth and prepare for graduate level work.